The Canadian bus travel provider Busbud is strengthening its European market presence with the acquisition of Neredennereye.com | Clickbus Turkey. The Background Turkey has one of the largest and most dynamic markets for bus travels worldwide. That entails inner city as well as rural routes that connect the whole country. Especially regarding the latter, bus travels are a fast, comfortable, safe and cheap way to travel around Turkey for locals and tourist alike. Up until 2025, ticket sales are predicted to remain stable at 225m. The point of purchase will change over the time. Whereas solely 23 million tickets were sold online, the number will impressively increase to 84 million. The Partner The company’s smart booking engine, Neredennereye.com, allows its customers to find, compare and purchase bus tickets at most affordable prices from more than 30,000 bus routes, offered by 180+ bus companies in Turkey. The Company was initially founded as a travel directory in 1999 but evolved into an online travel agency before merging with Clickbus Turkey in 2015. Busbud is the bus travel booking website with the largest coverage. You can search, compare and buy tickets from 3,900+ bus companies in 21,000+ cities connected by 2,300,000+ bus routes across 80+ countries.Travel aggregators have radically changed the way we search and book plane tickets, but nothing of the sort has been available for buses until now. The Deal The Canadian company Busbud has successfully acquired a leading Turkish bus ticket booking platform Neredennereye.com, headquartered in Istanbul, which is owned and operated by Clickbus Turkey. 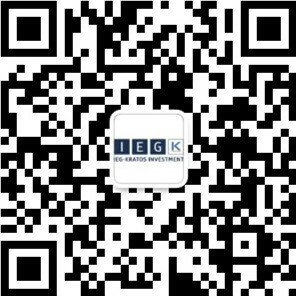 IEG – Investment Banking Group under the leadership of Serkan Usanmaz, Managing Director at IEG – Turkey, has acted as exclusive financial advisor to the shareholders of Clickbus Turkey; among them Rocket Internet and Holtzbrinck Ventures. With this acquisition, Turkish consumers will have access to buy bus tickets in 80 countries around the world by having access to Busbud's international network. In the meantime, this acquisition will enable international travelers to buy Turkish bus companies' tickets directly from Busbud. The Perspective Both parties are looking forward to the partnership. LP Maurice, CEO and Co-founder at Busbud commented on the acquisition: "Erol and his team at Neredennereye.com have had a remarkable growth story in Turkey. We are excited to welcome them onboard. There is a lot to learn from how they have achieved a dominant position in this large and dynamic market. These insights and go-to-market strategies will inform our continued rollout in the 80+ countries we currently serve." Erol Demirtas, Managing Director and Co-founder of Neredennereye.com states: "Becoming a part of Busbud, a leading player in the intercity bus booking market worldwide, gives us an opportunity to benefit from a global platform and additional resources, which will help us to provide an even more impactful experiences to our customers."